Sunday was a big day! 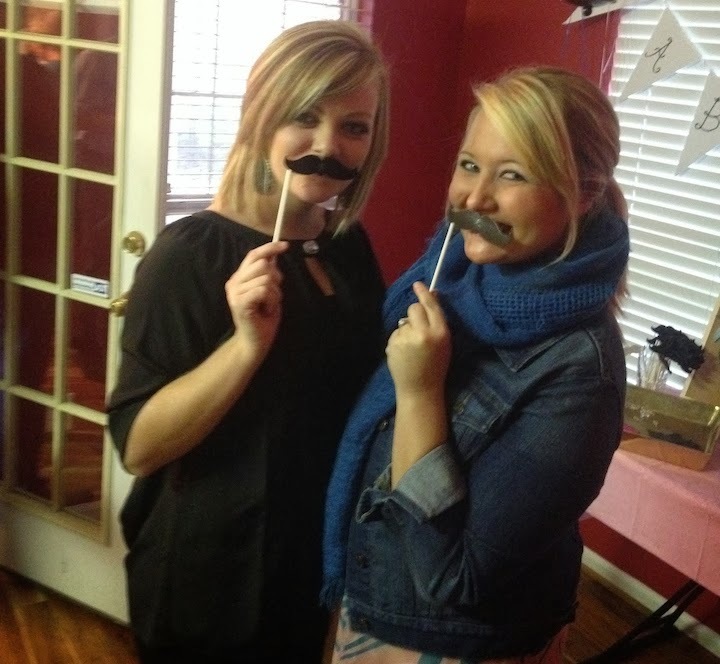 I had the honor of hosting a baby gender reveal party for one of my best and oldest friends. We both did competitive cheerleading growing up and when we were fourteen years old we were placed on the same squad. I guess you could say the rest is history. We have been best friends ever since! I still can't believe she is going to be a mommy! The theme for the party was "mustaches or lipstick" so we went all out on the decorations. We used both, pink and blue, throughout and even made the food match the theme. The future parents wore black and used a black balloon that we filled with confetti for the reveal. They popped the ballon and BLUE confetti went flying. It's a boy! We placed this table at the entry way so our guests could make their gender prediction by pinning either a mustache or lips to the board. They also grabbed a mustache and lipstick prop to carry around so everyone knew who predicted what. I found several Old Wives Tales online and designed this for mommy to be to fill out. The guests loved reading what she picked, and to make things even more interesting, the answers ended up being about 50/50 boy or girl. The dining room served as the buffet for all the food. Because the party was in the afternoon we just did simple finger foods, dips, and desserts. Above the table we hung pictures of all of her ultrasounds (all but the pictures revealing the gender). When it was time for the reveal we hung the confetti stuffed ballon from the light in the entryway. The soon to be parents stood on each side of the ballon and dad had the honors of popping the ballon. As soon as the blue confetti fell out all the guests began screaming and crying. I already knew it was a boy and I think I even teared up! It was so sweet. I can't wait for baby Liam Bryson to arrive! Aw adorable decorations for the party! Love them all! And love your tree and Christmas decorations. I love the confetti idea so much more than the cake!! Also what a busy weekend lady! This sounds like the perfect, relaxing weekend! Your house looks so festive. Love the balloon popping idea! What a fun weekend! I love Friday nights like that and it looks like you guys did such a good job hosting that baby shower! How fun!! 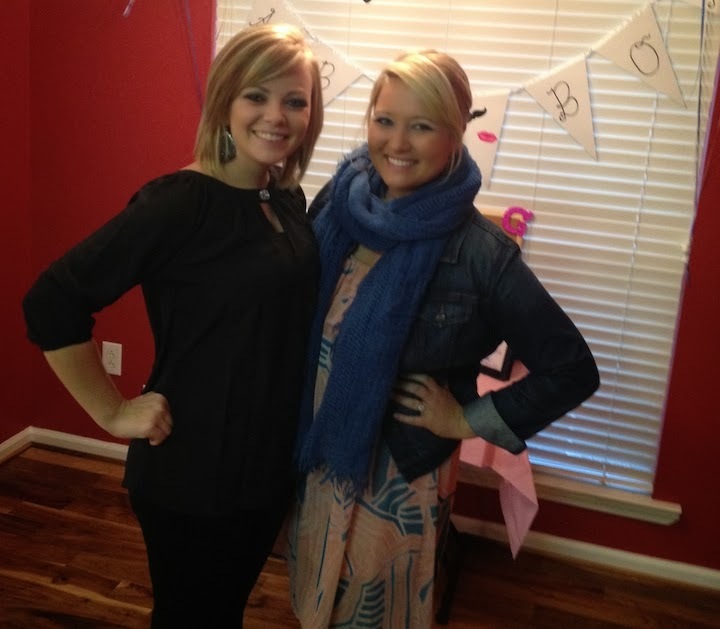 I love baby showers! Your house looks good..Christmas lights always make me happy. & the tree is so pretty! good job! I love this! Your decorations look amazing and I love the Gender guessing games. I definitely want to do something like this when I'm pregnant! Aw I love your weekend! 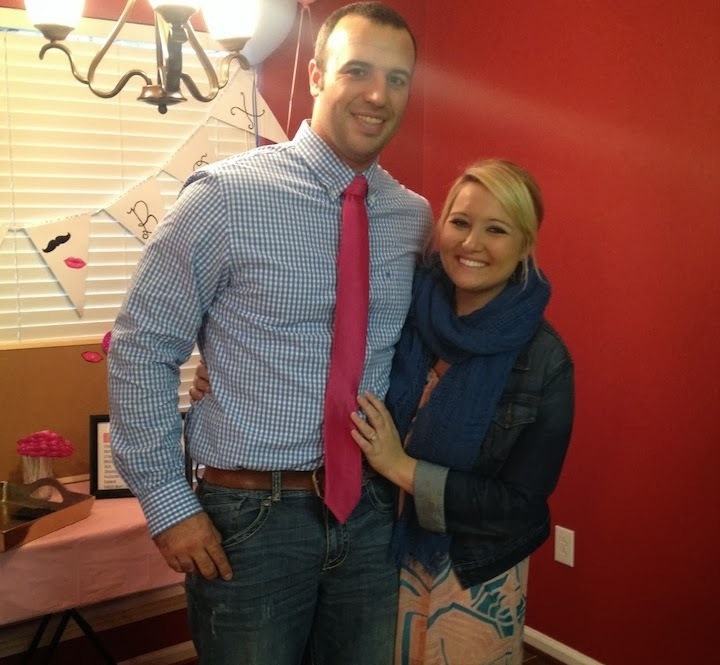 it seemed like SOOO much fun and great job on the gender reveal, so cute!! Love the tree, it looks gorgeous! What a great gender reveal party!